Life:Curated is having a "Secret" VIP Sale, which I'm only sharing with you blog readers! Get 20% off sitewide with code VIP. 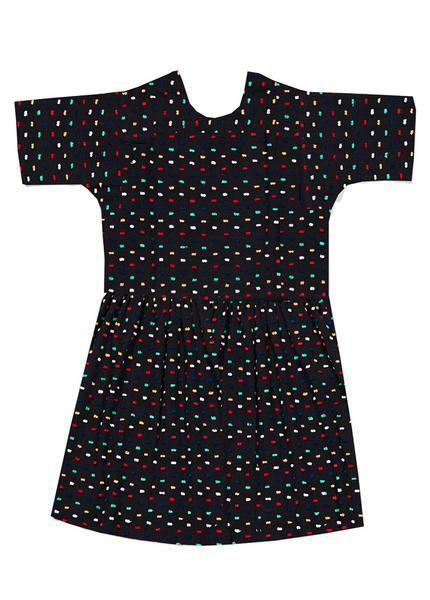 Yes, the discount is applicable on Ace & Jig, and my pick is the the Ace & Jig Paz Dress in Carnival, which is no longer a preorder, and which I am shocked is still available! See below for more picks. I am also eyeing the Ace & Jig Paz Top in Chester is an awesome choice. 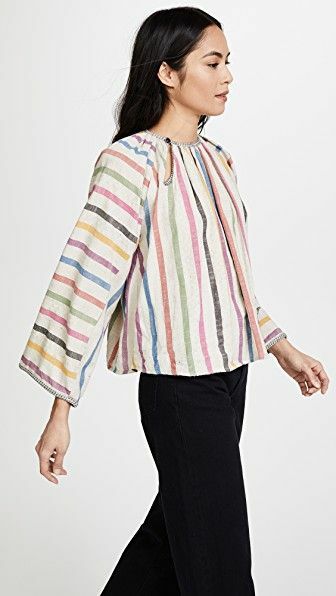 I tried this top on in both Merry and Saki (detailed review in the link), and love how the sleeves look like little wings! 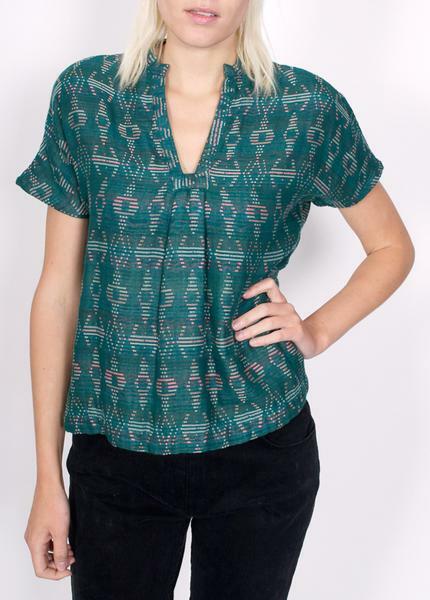 The thicker Chester textile provides a nice contrast and keeps the top from looking too cute. If you are still searching for a perfect Emerald piece, I'd recommend trying the Ace & Jig Atwood Top in Emerald for a flattering and office-appropriate option. 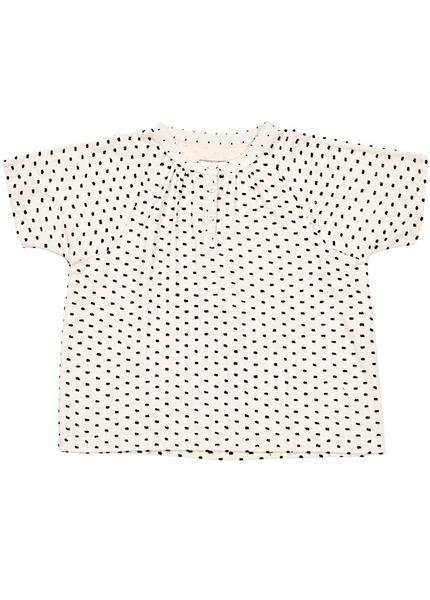 Another great office pick is the sweet Ace & Jig Booker Top in Pearl, which could pass as a non-Ace garment (though the softness of the textile means you'll still know).